Did You Know You Can Rent Maternity Clothes? When I first heard about Borrow for Your Bump I had one of those, “Why didn’t I think of that!” moments. Such a smart idea! 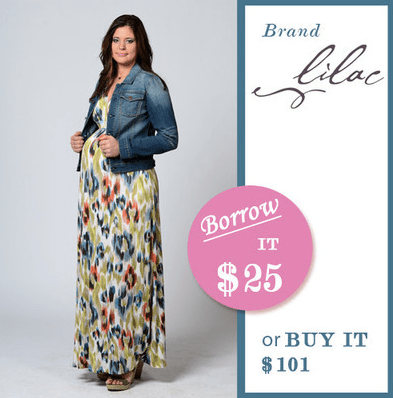 Borrow for Your Bump lets you rent name-brand maternity clothing for a fraction of the cost to buy them. It totally makes since too, I mean you are only pregnant for a few months and by the time you get pregnant again your designer maternity jeans might be out of style. The Borrow for your Bump site is simple to use, just browse by category and when you find an item you like you can either select to buy it or borrow it at 75% off the retail price. Borrow for Your Bump is my maternity fashion sponsor for the upcoming Brand & Bloggers Summit in Chicago. They are providing my wardrobe for the whole weekend free of charge, stay tune to check out all of my fun outfits! I’ve never actually been on a cruise. Well, let’s say you have a wedding to attend that’s a little more practical for pregnant ladies.